Enjoy the best inspirational, motivational, positive, funny and famous quotes by Andrew Potter. Use words and picture quotations to push forward and inspire you keep going in life! 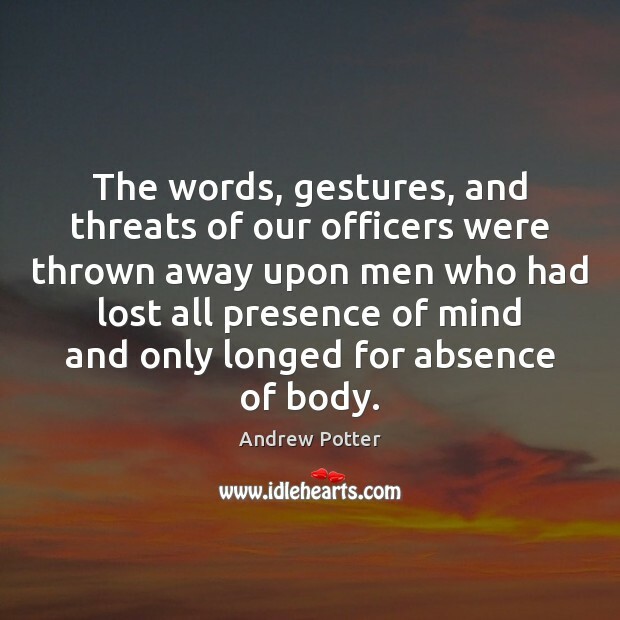 The words, gestures, and threats of our officers were thrown away upon men who had lost all presence of mind and only longed for absence of body.